As a course requirement for Business Finance course, F-109 the report is on a “Report on International Leasing and Financial Services Limited (ILFSL)”, which is assigned to us by our honorable course teacher, M. Shahjahan Mina, Professor, department of Finance, University of Dhaka. This an academic term paper on lease financing features. Lease financing is basically a contractual agreement between two parties establishing an agreement for the use of an asset in return for periodic payments by the user. lease financing is of two types that is operating lease and financial lease. Methods of lease financing are direct leasing (In this lease agreement the lessors buys the lease product with his own capital and perform lease agreement. ), leveraged leasing (In this lease agreement lessor takes loan from any financial institutions and buys lease product with his own capital and borrowed capital but the leasee does not take part in the both agreements. ), sale and lease back (In this lease agreement the owner of an asset sells his asset to other parties and then takes lease from the buyer of the asset). Finance lease expenses are allocated between interest expense and principal value much like a bond or loan; therefore, in a statement of cash flows, part of the lease payments are reported under operating cash flow but part under financing cash flow. Therefore, operating cash flow increases. Under operating lease conditions, lease obligations are not recognized; therefore, leverage ratios are understated and ratios of return are overstated. Among all leasing companies that exist in our country our assigned leasing company is “International Leasing and Financial Services Limited”. International Leasing And Financial Services Limited (ILFSL), is a multi product joint venture financial institution has been established with the purpose of assisting the productive enterprises in Bangladesh through the provision of lease financing and related financial services for development of the industrial, energy, agricultural, transport, construction, telecommunication, power, medical, commercial and professional sectors. In company overview the vision, mission, strategic goals, core values its milestone and its functions are discussed elaborately. CRISL also viewed the company with “Negative Outlook” in consideration of its deterioration in asset quality which will have subsequent impact on profitability and business operation. The financial statement that represents the overall condition of the company is also discussed. The statements include the income statement, balance sheet and the cash flow and their financial position in the market is also shown. They offer lease financing for all types of manufacturing and service related equipment for all major industrial sectors. Lease rental is determined based on actual acquisition cost and lease term. Lease term usually ranges from 2 to 5 years. In general monthly lease rental is fixed on EMI (equal monthly installment) basis; however, quarterly and half-yearly payment may also be considered based on the requirement of the client and cash flow of the project. The functions of ILFS include lease financing, short-term financing, house building financing, and merchant banking and corporate financing. In this last group of functions, the leasing business in Bangladesh moved away from regular leasing activities and is now involved in stock-market related activities such as issue management, underwriting, trust management, private placement, portfolio management, and mutual fund operation. The Company has not entered into any financial / lease obligation in the last five years. ILFSL is operating with limited funding base. The main funding sources include term loan and term deposits (both institutional and public) which constitute 72.20% of total funding mix. Fund management of the company is being looked after by the treasury department under Finance and Administration (F & A) Division. The lease portfolio of International Leasing and Financial Services Limited (ILFSL) is well diversified among various market segments. For lease finance ILFSL (international Leasing and Financial Services Limited) basically focuses on satisfaction of the client which is the most important for them. They emphasizes on their service as financing of capital machinery, equipment and vehicles with easy terms and conditions. But ILFSL (international Leasing and Financial Services Limited) is not in a very good position in terms of their assets. If they want to stay in the competition it should revise its strategies and increase its profit level. The report attempts to explain the condition of International Leasing And Financial Services Limited. For this purpose we have conducted a case study on International Leasing And Financial Services Limited. This report also includes the mission and mission and vision, board of directors of the company, financial statements of this company, the related activities and one real case of this company. As a course requirement for Business Finance course, F-109 the report is on a “International Leasing And Financial Services Limited”, Brazil which is assigned to us by our honorable course teacher, M. Shahjahan Mina, professor, Department of Finance, University of Dhaka. There are several Banking and Non-banking (twenty nine) financial institutions operating throughout Bangladesh. Among these institutions Union Capital Limited is one, who is operating in the market with their various types of business and from all those we are dealing with their Leasing Business activities. The report studies all the related information from different sources about International Leasing And Financial Services Limited ( ILFSL). The report that was given by our course instructor was to analyze the current situation International Leasing and Financial Services Limited. So, basically this report is inductive. To prepare this report we conducted a study on the “International Leasing and Financial Services Limited”. We analyzed their organizational structure, their lease agreement. The secondary sources are the website of the company which is updated regularly and their annual report. The annual report does lack of some information we needed very badly for our report. They are planning to expand their operation but they were unwilling to disclose the information related to us. Limited information is found about their different products. Due to time constraint, we could only analyze the financial reports of last five years. Theoretical overview deals with the knowledge of overall idea of the report. As the topic of our report is leasing company this part includes the definition and different types of lease, its functions and types. A lease is a contractual agreement between two parties establishing an arrangement for the use of an asset in return for periodic payments by the user. Leasing is a process by which a firm can obtain the use of a certain fixed assets for which it must pay a series of contractual, periodic, tax deductible payments. The lessee is the receiver of the services or the assets under the lease contract and the lessor is the owner of the assets. The lessor is the asset owner, who receives the periodic payments. The lessee makes the payments to the lessor in return for using the asset. A rental agreement is a lease in which the asset is tangible property. Leases for intangible property could include use of a computer program (similar to a license, but with different provisions), or use of a radio frequency (such as a contract with a cell-phone provider). A gross lease is when the tenant pays a flat rental amount and the landlord pays for all property charges regularly incurred by the ownership from lawnmowers and washing machines to handbags and jewelry. A cancelable lease is a lease that may be terminated solely by the lessee or solely by the lessor. A non-cancelable lease is a lease that cannot be so terminated. Commonly, “lease” may imply a non-cancelable lease, whereas “rental agreement” may connote a cancelable lease. The lease will either provide specific provisions regarding the responsibilities and rights of the lessee and lessor, or there will be automatic provisions as a result of local law. In general, by paying the negotiated fee to the lessor, the lessee (also called a tenant) has possession and use (the rental) of the leased property to the exclusion of the lessor and all others except with the invitation of the tenant. The most common form of real property lease is a residential rental agreement between landlord and tenant. A lease should be contrasted to a license, which may entitle a person (called a licensee) to use property, but which is subject to termination at the will of the owner of the property (called the licensor). An example of a licensor/licensee relationship is a parking lot owner and a person who parks a vehicle in the parking lot. A license may be seen in the form of a ticket to a baseball game. The difference would be that if possession is subject to ongoing, recurrent payments and is generally not subject to termination except for misconduct or nonpayment, it is a lease; if it’s a one-time entrance onto someone else’s property, it’s probably a license. The seminal difference between a lease and a license is that a lease generally provides for regular periodic payments during its term and a specific ending date. If a contract has no ending date then it may be in the form of a perpetual license and still not be a lease. Under normal circumstances, owners of property are at liberty to do what they want with their property (for a lawful purpose), including dealing with it or handing over possession of the property to a tenant for a limited period of time. If an owner has surrendered possession to another (i.e., the tenant) then any interference with the quiet enjoyment of the property by the tenant in lawful possession is itself unlawful. Similar principles apply to real property as well as to personal property, though the terminology would be different. Similar principles apply to sub-leasing, that is the leasing by a tenant in possession to a sub-tenant. The right to sub-lease can be expressly prohibited by the main lease, sometimes referred to as a “master lease”. Over the centuries, leases have served many purposes and the nature of legal regulation has varied according to those purposes and the social and economic conditions of the times. Leases, for example, were mainly used for agricultural purposes until the late 18th century and early 19th century when the growth of cities in industrialized countries had made leases an important form of landholding in urban areas. The modern law of landlord and tenant in common law jurisdictions retains the influence of the common law and, particularly, the laissez-faire philosophy that dominated the law of contract and property law in the 19th century. With the growth of consumerism, consumer protection legislation recognized that common law principles, which assume equal bargaining power between the contracting parties, create hardships when that assumption is inaccurate. Consequently reformers have emphasized the need to assess residential tenancy laws in terms of protection they provide to tenants. Legislation to protect tenants is now common. A Lease is a legal contract, and thus enforceable by all parties under the Contract Laws of the applicable jurisdiction. But, since it also represents a conveyance of possessory rights to real estate, it is a hybrid sort of contract that involves qualities of a deed. Some specific kinds of leases may have specific clauses required by statute depending upon the property being lease, and/or the jurisdiction in which the agreement was signed or the residence of the parties. Names of the parties of the agreement. The starting date and duration of the agreement. Identifies the specific object (by street address, VIN, or make/model, serial number) being leased. Provides conditions for renewal or non-renewal. Has a specific consideration (a lump sum or periodic payments) for granting the use of this object. Have provisions for a security deposit and terms for its return. May have a specific list of conditions which are therein described as Default Conditions and specific Remedies. All kinds of personal property (e.g. : cars, furniture,…) or real property (raw land, apartments, single family homes, and business property (including wholesale and retail)) may be leased. As a result of the lease, the owner (lessor) grants the use of the stated property to the lessee. A fixed-term tenancy or tenancy for years lasts for some fixed period of time. It has a definite beginning date and a definite ending date. Despite the name “tenancy for years”, such a tenancy can last for any period of time—even a tenancy for one week may be called a tenancy for years. A fixed term tenancy comes to an end automatically when the fixed term runs out or, in the case of a tenancy that ends on the happening of an event, when the event occurs. If a holdover tenant remains on the property after the termination of the lease, s/he may become a tenant at sufferance because the lessor/landlord has suffered (or allowed) the tenant to remain as a tenant instead of evicting him or her. Such a tenancy is generally “at will,” meaning the tenant or the landlord may terminate it at any time, upon the providing of proper statutory notice. A tenancy at sufferance (sometimes called a holdover tenancy) exists when a tenant remains in possession of a property after the expiration of a lease, and until the landlord acts to eject the tenant from the property. Although the tenant is technically a trespasser at this point, and possession of this type is not a true estate in land, authorities recognize the condition in order to hold the tenant liable for rent. The landlord may evict such a tenant at any time, and without notice. The landlord may also impose a new lease on the holdover tenant. For a residential tenancy, this new tenancy is month to month. For a commercial tenancy of more than a year, the new tenancy is year to year; otherwise it is the same period as the period before the original lease expired. In either case, the landlord can raise the rent, so long as the landlord has told the tenant of the higher rent before the expiration of the original lease. A periodic tenancy also known as a tenancy from year to year, month to month, or week to week, is an estate that exists for some period of time determined by the term of the payment of rent. An oral lease for a tenancy of years that violates the Statute of Frauds (by committing to a lease of more than — depending on the jurisdiction — one year without being in writing) may actually create a periodic tenancy, depending on the laws of the jurisdiction where the leased premises are located. In many jurisdictions the “default” tenancy, where the parties have not explicitly specified a different arrangement, and where none is presumed under local or business custom, is a month-to-month tenancy. Substance: the lessee legal right to use the property. Capital or Finance lease, which is considered a financing transaction – as the lessor has less of the risks of ownership, such as the value of the equipment in future years. Operating lease, whose term is short compared to the useful life of the asset, where the lessee does not have to show the lease on their balance sheet. Direct lease: In this straight forward agreement, the firm leases an asset it did not previously own. Sale and leaseback: Here the firm sells an asset it currently owns and then leases the same asset back from the buyer. Formal requirements for a lease are determined by the law and custom of the jurisdiction in which real property is located. In the case of personal property, it is determined by the law and custom of the jurisdiction in which the rental agreement is made. A tenancy for a duration greater than one year must be in writing in order to satisfy the Statute of Frauds. Rent is a requirement of leases in common law jurisdiction, but not in civil law jurisdiction. There is no requirement for the rent to be a commercial amount. “Pepper corn” rent or rent of some nominal amount is adequate for this requirement. Because ownership is retained by the lessor, he or she always has the better right to enforce all the contractual terms and conditions affecting the use of the land. Normally, the contract will be express (i.e. set out in full and, hopefully, plain language), but where a contract is silent or ambiguous, terms can be implied by a court where this would make commercial sense of the transaction between the parties. One important right that may or may not be allowed the lessee, is the ability to create a sublease or to assign the lease, i.e. to transfer control to a third party. Hence, the builder of an office block may create a lease of the whole in favour of a management company that then finds tenants for the individual units and gives them control. An owner can allow another the use of a vehicle (such as vehicle leasing of a car, a truck or an airliner) or a computer either for a fixed period of time or at will. This can be a simple leasing transaction, or it can be a transaction intended to allow the user the right to buy the item at some future time. Whether it is better to lease or buy land will be determined by each state’s legal and economic systems. In those countries where acquiring title is complicated, the state imposes high taxes on owners, transaction costs are high, and finance is difficult to obtain, leasing will be the norm. But, freely available credit at low interest rates with minimal tax disadvantages and low transaction costs will encourage land ownership. Whatever the system, most adult consumers have, at some point in their lives, been party to a real estate lease which can be as short as a week, as long as 999 years, or perpetual (only a few states permit ownership to be alienated indefinitely). For commercial property, whether there is a depreciation allowance depends on the local state taxation system. If a lease is created for a term of, say, ten years, the monthly or quarterly rent is a fixed cost during the term. The term of years may have an asset value for balance sheet purposes and, as the term expires, that value depreciates. Express terms: These include what is in the written agreement (if there is one), in the rent book, and/or what was agreed orally (if there is clear evidence of what was said). Implied terms: These are the standard terms established by custom and practice or the minimum rights and duties formally implied by law. Generally speaking in the modern US legal framework, commercial real property leases fall into one of just a few categories: Office, Retail, Warehouse, Ground, and a catch-all hybrid often referred to as “Mixed Use”. Each has certain typical characteristics, although Ground leases may differ somewhat, taking on some characteristics of Retail leasing when associated with a retail project, like a shopping center. There are many distinct differences between buying and leasing, regardless if such a transaction or agreement applies to property, machinery, equipment or other assets. The difference lies in that a Lease is conceptually very similar to the principle of “borrowing.” The ownership of the leased property (be it land, equipment, merchandise, or etc.) is not transferred under the terms of the lease agreement. The lease gives the lessee the right to use the assets covered under the agreement for the duration of the contracted term, however, upon the completion of said term the lessee is required to return the assets in question to the lessor, thereby completing the terms of the agreement. In a general example having to do with an automobile lease, the vehicle is due back to the dealership at the conclusion of the lease term. Once the vehicle is returned, the automobile lease agreement is completed and the parties (lessor and lessee) separate with no further obligations to each other (assuming there is no damage on the vehicle entitling the dealer to some further compensation). The lessee has no further claim or right to use the vehicle and the lessor, or car dealer no longer collects any payment from the former lessee – the previous driver. It should be noted, however, that many lease agreements contain clauses and addendums that outline additional rights, or options for the lessee, to be exercised at will upon the conclusion of the lease (there are numerous equipment lease types with individual features). In automobile leases as a general example, a lessee may have an option to purchase the vehicle, thereby restructuring the agreement and ultimately obtain the ownership of the asset previously leased. In the example of a property lease, the renter (or lessee) may have the option to extend the lease, under pre-determined terms. Such scenarios are numerous and are typically pre-set during the initial creation and negotiation of the agreement between the parties. Purchasing, on the other hand, involves an agreement that outlines the terms under which the purchaser acquires ownership of the desired item, property or asset. The purchase agreement delineates the purchase price and the terms under which it is to be paid for by the buyer. The overall purchase price can be [[amortized] over a period of time as in the case of financing, or it can be paid in full, resulting in the instant transfer of ownership to the purchaser. Depreciation Depreciation is a major consideration for individuals deciding between buying and leasing. For assets that suffer from significant depreciation, either as a result of regular wear and tear or through becoming obsolete upon the release of newer versions of the same materials (particularly applicable in the case of technology) leasing can prevent a significant loss of value. In business, there exists a basic rule of thumb: “If it appreciates, buy it. If it depreciates, lease it.” Leasing could permit the use of the equipment while it is new and upon the completion of the lease, it can be simple to upgrade by virtue of a new lease. Leasing is less capital-intensive than purchasing, so if a business has constraints on its capital, it can grow more rapidly by leasing property than it could by purchasing the property outright. Because of investments which are done with leasing, new businesses are formed. Furthermore, unemployment in that country is decreased. Leasing may provide more flexibility to a business which expects to grow or move in the relatively short term, because a lessee is not usually obliged to renew a lease at the end of its term. Depreciation of capital assets has different tax and financial reporting treatment from ordinary business expenses. Lease payments are considered expenses, which can be set off against revenue when calculating taxable profit at the end of the relevant tax accounting period. A net lease may shift some or all of the maintenance costs onto the tenant. If circumstances dictate that a business must change its operations significantly, it may be expensive or otherwise difficult to terminate a lease before the end of the term. In some cases, a business may be able to sublet property no longer required, but this may not recoup the costs of the original lease, and, in any event, usually requires the consent of the original lessor.. If the business is successful, lessors may demand higher rental payments when leases come up for renewal. If the value of the business is tied to the use of that particular property, the lessor has a significant advantage over the lessee in negotiations. Bangladesh is an agricultural country gradually shifting towards industrialization. Traditionally, people of this subcontinent were reluctant to business and trade. But as the demand of time, they are inspired and inclined to take risk and establish business enterprises. The entrepreneurs are faced with scarcity of initial capital and if somehow they have started business they face serious shortage of working capital. In such case, they run for long term direct financing from commercial banks, specialized banks and other financial institutions, but receiving long term loans from direct financing institutions in Bangladesh is not an easy task. Leasing business in Bangladesh is providing for the alternative financing introduced by the three prominent leasing companies in Bangladesh; IDLC, ULC and PLC. Recently, some other leasing companies namely, Peoples Leasing Company, Bay Eastern Leasing Company. Bangladesh is a developing country, but the national calamity and political unrest sluggish the industrial growth as well as economic growth of the country. The traditional sources of funds of our country in the financial market are – the Commercial Banks, DFIs and the stock exchange. But these sources are not enough to effectively meet the growing demand of capital investments for industrialization of the country. And the backdrop of such scenario, leasing companies came forward in the 80s to serving as an alternative source of financing. At present there are 11 leasing companies operating their business. All types of assets such as plant and machinery, equipment, transports, land and buildings are subject to lease. Lease varies widely in contractual terms. The variables of lease includes: length of lease term; renewal and purchase options; cancellation provision and penalties; guarantees by lessees of residual values; amount and timing of lease payment; Interest rates; Degree of risk assumed by the lessee; and, payment of certain costs such as maintenance, insurance and taxes. There are many other factors that influence lease financing. Uttara Finance & Investment company Ltd.
Bay leasing & Investment Ltd.
International Leasing & Finance Company Ltd.
GSP Finance company (BD) Ltd. These are the leasing companies of our country. Among them IDLC, ULC and Phoenix Leasing Company Ltd are the three most prominent leasing companies of our country. The company we were assigned by our course instructor is “International Leasing and Financial Services Limited” (ILFSL). it is not very well own as it has many flaws in their planning but still it is one of the few leasing companies in our country. To materialize our vision, we are pursuing proactive approach which has been reaping benefit for all our stakeholders. This is manifested by our various business growth rates. We have been continually introducing appropriate and innovative financial products as required by our clients our quest for newer financial solutions goes on and we are strong enough to take dynamic action to keep up our momentum. Commitment towards the development of industrial & financial sectors by offering diverse, innovative financial products. Continuous drive in improvising our services tailored to clients’ needs. Attach importance to human resource management & administration and provide job satisfaction to all with equal opportunity for career development. Serve for the well being of the society. • Continuous Diversification for maximization of shareholders’ value. • Creating Synergy through symbiosis of Dynamic Management and Board. • Serving and sustaining individual and institutional clients having high Integrity. • Focusing intensely on maintaining a sound asset portfolio. • Finding out Diversified Sources of Fund and exercising good Fund Management practices. • Providing flexible and customized service to clients to build a long-term relationship. • Retaining most dynamic people with good Aptitude. Over the years International Leasing has been able to maintain consistent growth in its operation maintaining quality portfolio. In the first year of operation in 1996 the volume of contract was TK. 77.32 million, which rose to staggering TK. 3,428.0 million. Grow with the customers, who have always been at the centre of ILFSL( international Leasing and Financial Services Limited) activity and maintain the highest degree of financial & business ethics in all transactions. Licensed by Bangladesh Bank as Primary Dealer. Subscription for Initial Public Offering (IPO) of shares of the Company held for issuance of 0.5 million shares for 1k. 112.50 million. Became enlisted with Dhaka Stock Exchange Ltd. and Chittagong Stock Exchange Ltd. Purchased Membership of Dhaka Stock Exchange Ltd. from public auction offered by DSE. Inauguration of Chittagong Branch of International Leasing And Financial Services Limited. Acquisition of 100% shares of Hongkong Bangladesh Securities Ltd., a member Brokerage House of Chittagong Stock Exchange Ltd. by International Leasing Securities Ltd.
We inculcate Leadership in both individual and corporate level. In our service, in strategic planning and in the market, find out the opportunities befitting our clients as well as our business. We always believe that it is the combination of good owners and management that produce values more than the total of isolated entities. corporate, industrial, commercial and individual clients. We take deposits from clients by offering various deposit schemes. We invest in capital markets and also perform primary dealership operations, mainly to transact various government bonds. The share capital of the Company is divided into Ordinary Shares, carrying equal rights to vote and receive dividend in terms of the relevant provisions of the Companies Act, 1994 and the Articles of Association of the Company. Shareholders shall have the usual voting right in person or by proxy in connection with, among others, selection of Directors and Auditor(s) and other usual agenda of General Meeting – Ordinary or Extra Ordinary. On a show of hand, every shareholder present in person and every duly authorized representative of a shareholder present at a General Meeting shall have one vote and on a poll every shareholder present in person or by proxy shall have one vote for every share held by him or her. In case of any additional issue of shares through right shares for raising further capital, the existing shareholders shall be entitled to Right Issue of shares in terms of the guidelines issued by the Securities and Exchange Commission (SEC) from time to time. If the Company at any time issues convertible preference shares or debenture with the consent of the SEC, such holders of securities shall be entitled to convert such securities into ordinary shares if it is so determined by the Company. In case of winding- up or liquidation of the Company, all shareholders will have the same privileges and advantages regarding participation in profits and voting at meetings of the Company. In terms of the provisions of the Companies Act 1994, Articles of Association of the Company and other relevant rules in force, the shares of the Company are transferable. The Company shall not charge any fee other than Government duties for registering transfer of shares. No shares shall be transferred to an infant or person of unsound mind. The Company did not issue any debt securities and has no plan to issue debt securities within six months. Authorized Capital= 3,000,000 Ordinary Shares of Tk. 100 each. Total Capital Structure after IPO (1+2) 230,000,000.
it is a very important part of a company. A company’s overall performance can be known from its capital structure. As with all investments, investors should be aware that there are risks associated with an investment in the Company. These risks could result in loss of income or capital investment. Investors are encouraged to seek independent financial advice. The Company’s leases are generally structured at fixed rates for specified terms. Increase in interest rates of borrowings could narrow or eliminate the spread, or result in a negative spread, and hence, may have a materially adverse effect on the Company’s business, financial condition and/or results of operations. Although the consequences of unusual and abrupt increase in borrowing rate cannot be avoided but the Company will definitely take all the appropriate measures to minimize the negative consequences. Since we have not availed any funding from foreign sources and have no borrowing in foreign currency, we are not directly exposed to any exchange rate risk. But in future in this company becomes associated with foreign sources it may face external risk, which will materialize as the industry is growing. The Company is operating in a highly competitive market. Some of the competitors have more resources than those of the Company, including better image, broader range of products, complementary lines of business etc. It is difficult to predict in advance the move of the competitors in the coming years. International Leasing And Financial Services Limited is always cautious in offering products and services at competitive terms and conditions. We have some innovative products with better competitive advantages. In the wide market of 21st century, advanced technology obsoletes the old service / product strategy. So the existing technology may not be efficient enough to cope with the future business trends and needs. The Board always put emphasis on development and implementation of the state of the art technology and is always committed to invest in modern and updated information technology. The company operates under the specific guidelines as laid down by the Bangladesh Bank as well as the Securities and Exchange Commission (SEC). Any sudden change of the guidelines/ policies formulated by the Bangladesh Bank and / or the SEC may affect the business of the Company adversely. Unless the regulatory authorities adopt any adverse policies which may materially affect the industry as a whole, the business of the Company will not be affected that much since we are always particular in complying with rules and regulations of the authorities. Any incidental change in global context, economic or political, affects national economies. This will affect the policy measures of the company as well. All modern economies act integrated in a global setting. Any economic or political shock globally affects all national economies as well. We are always abreast with the global and national economic scenarios. Any such effects are properly evaluated and appropriate action measures are taken by the company. The company runs the risk of being in insecure position due to incomplete documentation, not ensuring proper creation of charges on securities, not properly executing reschedule and renewal accounts etc.To ensure proper documentation, charge creation, proper follow-up of subsequent changes of terms and condition, the company has a fully functional internal audit department. All credit accounts are properly checked to ensure detection and mitigation of all lapses by the department before disbursement and also subsequently. single A minus) rating to International Leasing and Financial Services Limited (hereinafter called “ILFSL”) in long term and “ST-3” rating in short term based on audited financials of FY2008 and other relevant qualitative and quantitative information up to the date of rating. The above rating has been assigned in consideration of its good franchise value in the market, Considerable portfolio growth, good shareholding pattern and corporate governance. The above areas, however, were constrained by its financial performance, asset quality, liquidity and capital base. Financial Institutions rated in this category are adjudged to offer adequate safety for timely repayment of financial obligations. This level of rating indicates a financial institution with an adequate credit profile. Risk factors are more variable and greater in periods of economic stress than those rated in the higher categories. Short term rating “ST-3” signifies good certainty of timely payment. Liquidity factors and company fundamentals are sound. Although ongoing funding needs may enlarge total financing requirements, access to capital markets is good with small risk factors. ILFSL(international Leasing and Financial Services Limited) has been operating its business with a good market share being supported by good market franchise. The outstanding credit portfolio of the company stood at TK. 7.18 billion representing 6.54% market share in year 2008. However, portfolio growth is not supported by the exiting capital base which stood at TK. 760.71 million including paid-up capital of TK. 290.00 million as on June 30, 2009. Shareholder’s equity to total assets of the company stood at 6.28% as on June 30, 2009 against 6.61% in year 2008. The overall asset quality of the company is found below average. Financial statement submitted to Bangladesh Bank as on June 30, 2009 reveals classified amount of TK. 776.47 million (63.88% substandard, 14.50% doubtful and 21.62% bad & loss) against TK. 468.03 million as on December 31, 2008 (44.25% substandard, 20.37% doubtful and 35.38% bad & loss) which pushed the gross NPL ratio to 8.42% as on June 30, 2009 from 6.51% as on December 31, 2008. Consequently the profitability revealed moderate position as reflected in ROAA (1.28% in 2008 from 1.66% in 2007), ROAE (18.34% in 2008 from 23.14% in 2007) and return on average earning asset (1.29% in 2008 from 1.51% in 2007). Liquidity position of the company is also moderate as reflected in current ratio (1.01 times in 2008 from 1.00 times in 2007) and Liquid assets to current liabilities ratio (0.34 times in 2008 from 0.30 times in 2007). CRISL also viewed the company with “Negative Outlook” in consideration of its deterioration in asset quality which will have subsequent impact on profitability and business operation. CRISL foresees that the rating of the company might be downgraded if proper steps are not taken shortly. However, CRISL believes that the company’s recent move in product/service diversification will likely to have some positive impact on earning streams of the company. They accept deposit from local and foreign corporate bodies, banks, insurance companies and other financial institutions as well as individuals. At present, they have four types of deposit scheme to accommodate customized need of their clients. This company provides project finance facility to economically, technically, environment friendly and financially viable projects. A good business-project proposal is carefully evaluated by them, required technical and professional advice are given and if deems viable required finance will be provided. They offer lease financing for all types of manufacturing and service related equipment for all major industrial sectors. Lease rental is determined based on actual acquisition cost and lease term. Lease term usually ranges from 2 to 5 years. In general monthly lease rental is fixed on EMI (equal monthly installment) basis; however, quarterly and half-yearly payment may also be considered based on the requirement of the client and cash flow of the project. In leasing the client has the full liberty to select the equipment, supplier and fix terms and conditions including price. They buy the equipment of the client’s choice for use of the client. They provide long term finance facility which is usually for up to the period 5 years. Usually the long term loan facility is extended for the purpose BMRE (Balancing, Modernization, and Replacement & Expansion) of any good project. They provide short term loan usually for the period of 1 year in form of Working Capital Financing, Factoring of Accounts Receivable to maximize your business growth. For projects requiring large-scale investment, they raise funds from banks/financial institutions through syndication. For projects requiring large-scale investment, they raise funds from banks/financial institutions through syndication. As Lead Syndication Arranger, they will help the client in the documentation, execution and administration of syndicated finance. ◙ Purchase of Office Space, Show Room/Shop etc. Metropolitan Cities like Dhaka and its associated areas, Chittagong and areas under Municipal Corporation which will have basic infrastructural facilities. ◙ For Construction/ Extension/ Renovation of existing House and purchase of Building (residential purpose): 60% of the cost. ◙ Loan period plus current age of the applicant shall not exceed 65 years. Eligibility would be determined by the management of International Leasing considering the applicant’s & co-applicant’s monthly income, age, monthly expense, other loans & liabilities, savings, nature of service or business, stability and consistency of service or business etc. One shot or phase by phase disbursement depending on the requirement of the project. However, the equity portion of the applicant or co-applicant to be utilized first before taking disbursement forms International Leasing. The Proposed property and/or any property acceptable to International Leasing may be taken against the Loan. The property is required to be under Registered Mortgage in favor of International Leasing. Processing fee is required to be paid with the Application Form and Documentation Fee is required to be paid after approval. To protect the client’s investment from future uncertainties, the home loan shall be supplemented by Home loan Shield that comes with a very low premium. ◙ Loan processing within shortest possible time. ◙ Customer friendly &amp; competitive interest rate. ◙ No hidden or extra charge. ◙ Partial or full prepayment at any time during the loan tenure with special rebate. Intending applicant(s) may collect the Application Form from any offices of International Leasing free of cost or download it from company’s website and apply along with the relevant papers. They provide finance against work orders from reputed multinational companies, local blue chip companies, large NGOs and government institutions. The client can meet his delivery /performance deadlines specified in the work order by mobilizing funds from them. They got primary dealership license from Bangladesh Bank to operate in secondary bond market. This is primarily done against the 5-year and 10-year bonds that Bangladesh Bank has launched in the market for institutional and general investors. Every investor must buy or sell the bonds through primary dealers. International Leasing is the only non-bank financial institution to receive the PD license from Bangladesh Bank. Benefits of Factoring is that the client can obtain upfront financing against credit sales, which strengthens his cash flow by releasing the working capital stuck up with the credit sales. This leads to faster growth, greater turnover and more net profit. This is a more comprehensive mode of financial service rather than mere financing. Their follow up of collection contributes to improvement in the client’s overall collection performance. Their customer assessment enables the client to choose credible customers and fix safe credit limits which substantially improves credit administration. Financial statements are statements required by a particular business enterprise at the end of a certain accounting period for reporting operating results, financial position and liquidity position. Financial statements include income statement, statement, retained earnings, balance sheet and cash flow. Before preparing the financial statements of ILFSL (international Leasing and Financial Services Limited) we have to have a glance at the company. International Leasing and Financial Services Limited (ILFSL) is a multi-product Financial Institution having its 15 years record of innovative and customer-driven financial services. Starting from single-product Lease Financing services, the Company is now an established market leader in the leasing service industry. We are the first-generation licensee of Primary Dealership (PD) from Bangladesh Bank to buy and sell government treasury bonds and bills in the secondary market. Our new product range includes Stock Brokerage (through our subsidiary company, International Leasing Securities limited), Real Estate Finance & SME Finance. We also offer various attractive Deposit Schemes. Over the years, through proactive marketing and services, the company has been able to establish itself as a leading financial institution of the country. Our client and market focus will continue as we march ahead with our growth momentum. The chart showing the shareholders and the shareholding structure is given below. With this chart we can have a better understanding of the company. Income statement represents the net profit or loss of the company after the end of a certain accounting period. And the table above shows the amount of profit of international leasing and financing services limited. And we can assume from the table that their earning per share is declining. This is the balance sheet of the International Leasing and Financial Service Limited which represents the total asset, total liabilities and the overall condition of the company at the end of a certain accounting period. International Leasing And Financial Services Limited (International Leasing), a multi product joint venture financial institution has been established with the purpose of assisting the productive enterprises in Bangladesh through the provision of lease financing and related financial services for development of the industrial, energy, agricultural, transport, construction, telecommunication, power, medical, commercial and professional sectors. to activate the capital market by operating as managers to the issue, underwriters, or portfolio managers. The functions of ILFS include lease financing, short-term financing, house building financing, and merchant banking and corporate financing. In this last group of functions, the leasing business in Bangladesh moved away from regular leasing activities and is now involved in stock-market related activities such as issue management, underwriting, trust management, private placement, portfolio management, and mutual fund operation. Broad capital market operations of the lease financing institutions include bridge financing, corporate counseling, mergers and acquisition, capital restructuring, financial engineering, and lease syndication. Prominent among the sectors of the economy that now receive lease financing services are textiles, apparels and accessories, transport, construction and engineering, paper and printing, pharmaceuticals, food and beverage, chemicals, agro-based industries, telecommunications, and leather and leather products. It must be understood that the “use” that qualifies a lessor to depreciation is not the physical use by the lessee, but the use by the lessor in his business of leasing. The lessor makes the use of the asset in the lessor’s business of leasing the asset, and that use qualifies the lessor to stake a depreciation claim. In 2000, the funds of the company stood at Tk 313.45 million and its liabilities comprised shareholders equity -Tk 108.58 million and long-term liabilities-Tk 204.87 million. Components of the shareholders’ equity were the share capital (Tk 82.8 million), general reserves (Tk 16 million) and retained earnings (Tk 9.78 million), while the long-term liabilities included long-term debt (Tk 165.59 million) and lease rental deposits (Tk 39.28 million). Lease investment of the company in 2000 was Tk 478.53 million comprising net leased assets of Tk 408.83 million and net advances for lease assets Tk 69.70 million. Up to 31 December 2000, the company financed a total of 253 projects and the volume of financing amounted to Tk 1,323 million. During the year 2000, the company disbursed Tk 397 million and recovered Tk 234 million. That year it earned a net profit of Tk 29.31 million and paid dividend @ 20%. The Company has not entered into any financial / lease obligation in the last five years. The Company has a well-designed compensation plan to attract highly capable professional staff with high degree of integrity. Employee performance is regularly evaluated. ¾ Provident Fund: The Company offers Provident Fund benefit for its full time employee’s with 10% of the basic contributed by the employee and 10% of basic by the Company effective on confirmation of service at International Leasing And Financial Services Limited. ¾ Group Life Insurance: The Company also provides group life insurance benefit for its fulltime employees. ¾ Festival and Annual Incentives: The Company provides two festival bonuses to the employees in every year to the employees depending on the Company’s performance at the discretion of the Board. ¾ Gratuity Scheme: The Company has unfunded gratuity scheme for its employees approved by its Board. Financial performance of ILFSL found average compared to its per companies yet showing a declining trend. The company reported profit after tax of TK. 101.67 million in 2006 against TK. 144.84 million in 2005 with 29.8% negative growth rate. However, total earning assets of the company has increased by 16.32% during the period. The operating revenue of the company increased by 25.04% against 38.80% increase in operating expenses representing 30.99% diminution of operating profit which was mainly because of increase in financial expenses. Shareholders’ equity to total assets reduced to 7.05% in 2006 against 7.19% in 2005 representing lower equity back-up of assets. Again, credit portfolio to shareholders’ equity increased to 12.13 times against 11.97 times in 2005, which was found much higher, compared to peer median. Total gearing ratio found higher (11.97 times) compared to peer median (9.72 times) in 2005 indicating lower equity backup against outside source of fund. However, the same has further increased to 13.18 times in 2006. Internal capital generation of the company found below per median, which subsequently reduced to 13.13% in 2006 due to declaration of dividend of Tk. 45 million during the period. ILFSL is operating with limited funding base. The main funding sources include term loan and term deposits (both institutional and public) which constitute 72.20% of total funding mix. The total asset base of Tk. 6520.50 million as on December 2006 of the company was financed by shareholders’ equity of 7.05%, term loan of 31.66%, and term deposit of 40.55%, call loan of 6.75% and other liabilities and provision of 13.99%. Fund management of the company is being looked after by the treasury department under Finance and Administration (F & A) Division. ILFSL has been enjoying funded facility from 24 different banks and financial institutions including Bangladesh Bank. As on December 31, 2006 the credit line availed from different banks and financial institutions stood Tk. 2627.63 million of which term loan Tk. 2015.19 million, counter veiling loan Tk. 48.85 million, refinancing arrangement with Bangladesh Bank Tk. 14.46 million and short term loan & SOD Tk. 549.12 million (including Tk. 440 million call loan). The company regularly involves in call operation during 2006 with an average borrowing of Tk. 34.87 million per day within the range of 7% to 28% interest rate. It is worth mentionable here that the company involved in the call market as lender in couple of months during 2006 when market interest was relatively high. The company has applied for credit line of Tk. 850 million from different banks which is, if allowed, expected to ensure funding flexibility. The company is operating its financial activities relatively under tight liquidity position compared to its peer companies. Current ratio of the company slightly reduced to 1.01 times in 2006 compared to 1.04 times in 2005, which was found to be below per median. Again, liquid asset to current liabilities ratio reduced to 0.16 times in 2006 from 0.20 times in 2005 which was lower compared to its peer companies. Time interest earned ratio of the company also decreased in 2006 due to increase in financial expenses by 52.46% during the period and the position of the company again found below peer median. However, loan to deposit ratio found better than its peer median although there is no guideline regarding this ratio for FIs. According to its policy, Lease Finance focuses generally on institutional clients. Both manufacturing and service organizations are eligible to apply for lease financing. However, International Leasing and Financial Service Limited (ILFSL) also extend leasing facilities to reputed proprietorship and partnership companies, and professionals who are guaranteed by their employers. However, entrepreneurs in other sectors are also encouraged to speak to Union Capital if they have a good project. It also caters to the needs of requirements of the entrepreneurs for their existing projects. The lease portfolio of International Leasing and Financial Services Limited (ILFSL) is well diversified among various market segments. Mortgage: Mortgage means securing any fixed asset as collateral. To take lease from ILFSL (International Leasing and Financial Services Limited) mortgage is must. Business Experience: Having Business Experience is a must for taking lease from ILFSL (International Leasing and Financial Services Limited). Bank Statement: Having required amount of Bank solvency certificate is also vital to take lease from ILFSL (International Leasing and Financial Services Limited). CIB: CIB is the credit information of the individual or the lessee issued by Bangladesh Bank (central bank of Bangladesh).This another requirement for lease financing designed by ILSSL. ILFSL (International Leasing and Financial Services Limited) provides lease financing to customers on fairly easy terms and conditions. Lease term varies from two years to maximum of five years depending on the nature of machinery/ equipment to be financed. Vehicles, office equipment and other smaller equipment are normally lease financed for two/three years while industrial machinery and other heavy equipment are leased for a maximum period of five years. Documentation fee is a general formality that requires some amount of money for the preparation of document for the agreement of leasing on between lessee and lessor. Rates charged by Lease Finance vary depending on the nature of equipment and other terms and conditions negotiated between the parties. However rates are comparable to those of the market and are always kept at competitive levels so that both Union Capital and its customers mutually benefit from the arrangement. ILFSL (International Leasing and Financial Services Limited) is authorized to perform lease finance activities under the Financial Institution license granted by the Bangladesh Bank. ILFSL was faced with the following lease-or-buy decision. They can purchase a $50,000 piece of equipment by putting 25 percent down and paying off the balance at 10 percent interest with four annual installments of $11,830. The equipment will be used in business for eight years, after which it can be sold for scrap for $2,500. The alternative is that they can lease the same equipment for eight years at an annual rent of $8,500, the first payment of which is due on delivery. They’ll be responsible for the equipment’s maintenance costs during the lease. They expect that their combined federal and state income tax rate will be 40 percent for the entire period at issue. ILFSL further assume that their cost of capital is 6 percent (the 10 percent financing rate adjusted by their tax rate). The following tables demonstrate how ILFSL can use a cash flow analysis to assist customers with a lease-or-buy decision. In this case, if cost were the sole criterion for the decision, they would be inclined to purchase the asset because in current dollars, the cost of purchasing is $32,204, while the cost of leasing is $34,838. Even if cost isn’t ILFSL’s sole criterion, a cash flow analysis is useful because it can show one how much they’re paying for non-cost factors that may dictate their decision to lease. This analysis assumes the financed purchase of a $50,000 piece of equipment for 25 percent down, interest at 10 percent, and four annual payments of $11,830 (all payments are made on the first day of the year). Depreciation is computed on the basis of the 200 percent declining balance method. This analysis assumes that equipment costing $50,000 will be leased for eight years for an annual rent of $8,500, with the first payment being due on delivery and the following payments being due on the first day of each subsequent year. The business is assumed to have a combined federal and state income tax rate of 40 percent (tax benefits are computed as of the first day of year following the year for which the rental deduction was claimed) and a 6 percent cost of capital. In case of delay payment 10%-15% delinquent fee on the original finance amount has to be paid as punishment. This rate is determined in the time of planning and it fluctuates business periods to business period. In case of client’s failure to repay the loan or lease rents, ILFSL (international Leasing and Financial Services Limited) first sends a letter to its client where it gives 20 day time period to repay its obligation. If the client fails again then it goes for legal procedure. In this case it sends a notice to its clients where the court gives a 50 day time period to repay its obligation. In case of further failing to pay the obligation, ILFSL (international Leasing and Financial Services Limited) put the securities against which the lease or loan was sanctioned in an auction. 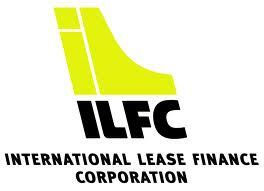 The financial condition of International Leasing and Financial Services Limited is not very good. To be more successful and be take one of the top three places ILFSL should come up with brand new strategies. ^ Stickney and Weil 2007 p. 791 (Glossary of Financial Accounting: An Intro. to Concepts, Methods, and Use 12e). ^ “If you want it, rent it … from a ‘must have’ handbag to an Aston Martin”, The Observer, 2009-01-04. Retrieved on 2009-09-09. ^ Sullivan, Arthur; Steven M. Sheffrin (2003). Economics: Principles in action. Upper Saddle River, New Jersey 07458: Pearson Prentice Hall. pp. 523.ISBN 0-13-063085-3. ^ For example in England and Wales the Law of Property Act 1925 s149(6) abolishes lease for lives, and lease expressed to be for a life is converted into a lease for 90 years. ^ “Example of Rental Application”. www.rentersfriend.com. Retrieved 2011-08-05. ^ ^ Wiening, Eric; George Rejda, Constance Luthardt, Cheryl Ferguson (2002). Personal Insurance (1st ed.). Malvern, Pennsylvania: American Institute for Chartered Property Casualty Underwriters/Insurance Institute of America. ISBN 0-89463-108-X. ^ “Real Estate Glossary Business Dictionary Definition Head Lease”. www.bizoptions.com. Retrieved 2010-08-05.